The Lord had commanded Jacob to return to Canaan, but the patriarch did not move until he had communicated God’s will to his wives and explained the reasons for his decision. “Rachel and Leah answered… ‘All the wealth that God has taken away from our father belongs to us and to our children. Now then, whatever God has said to you, do’” (Gen. 31:14-16). Jacob was a better man after his years spent with Laban, and this passage shows us just how much he has grown. The patriarch has learned from God’s discipline (Deut. 8:5), made evident in the speech he gives in Genesis 31:4–13. Notice how Jacob credits the Lord with his success. In three parallel statements he describes what Laban did and then affirms how God turned his father-in-law’s efforts to harm him into a blessing. 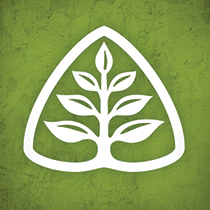 Laban’s attitude toward his son-in-law has soured, but the Lord remains with Jacob (v. 5). God preserved Jacob from harm even as Laban deceived him (vv. 6–7). Laban tried to withhold wages from Jacob, but the Creator gave Laban’s wealth to his servant (vv. 8–9). After years relying on his own wits, Jacob is beginning to recognize that everything he has comes only from the good hand of God. Jacob’s description of life with Laban is meant to convince Rachel and Leah of the wisdom of his decision to leave their father’s house. Laban has made a fool of Jacob, cheating him time and again (v. 7); thus, fleeing his father-in-law’s sinister machinations is a most prudent choice. This wisdom is confirmed by God’s revelation to Jacob that it is time to go back to Canaan (v. 13). Rachel and Leah recognize the soundness of their husband’s counsel and the Almighty’s presence in his life. Laban’s use of them as bargaining chips (29:1–30) plainly shows he has not been looking out for their interest. The transfer of his wealth to their household confirms the Lord’s blessing on them despite their father’s treachery (31:15–16). The Lord has commanded Jacob to return to Canaan (v. 13), but the patriarch does not move until he has communicated God’s will to his wives and explains the reasons for his decision. We might even reasonably infer Jacob wanted them to confirm the Lord had spoken to him. This demonstrates how male headship should function in the home. The husband is not to exercise his authority tyrannically (Col. 3:19), nor is he to lead his wife without communicating his intents and plans to her. Instead, he will respect her counsel (Prov. 31:10–12) and seek to make decisions harmoniously with her. Matthew Henry comments, “Husbands who love their wives will communicate their purposes and intentions to them. Where there is a mutual affection there will be a mutual confidence.” Dr. R.C. 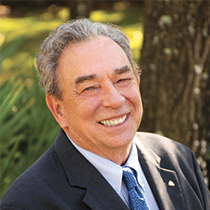 Sproul also says in his series The Intimate Marriage, that husbands should make decisions cooperatively with their wives as often as possible. Only when spouses face a number of godly options upon which they cannot agree should the husband ask his wife to submit to his will.